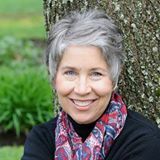 Northwest Christian Writers Association - Bette Nordberg - "New Depth and Direction"
Bette Nordberg - "New Depth and Direction"
This year's writing adventure doesn't have to be the "same ol' same ol'" for you. Instead, you can add new depth and receive new direction. Come join us as Bette Nordberg shares three decisions that will guarantee you a more fruitful writing journey beginning this very year. Devotional: Mindy Peltier - "God's Message in a Bottle"
Christian Writer's Coach: Sylvia Stewart - "Observation Generates Ideas"